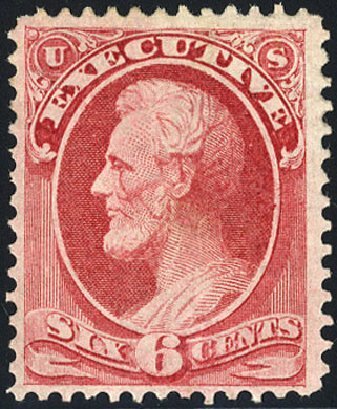 Executive Dept., 1873, 6¢ carmine (O13), bright and fresh color. O.g., lightly hinged. Nearly Very Fine. 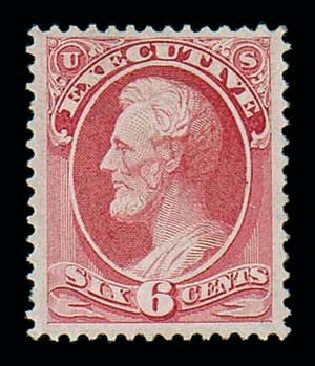 Scott $825 Expertization: 1995 P.F. and 2006 P.S.E. Certificates, the latter graded F-VF 75.